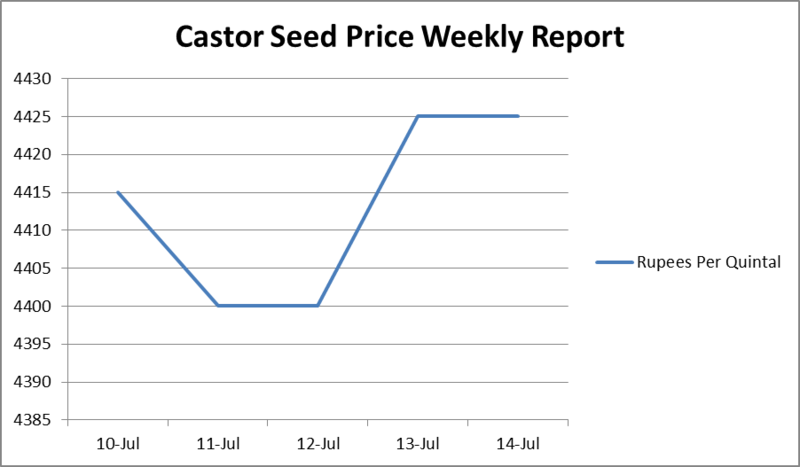 Last week, the castor seed prices increased throughout the week and ended with a high price of Rs. 4425 per quintal. This week, the prices were almost similar to that of last week, and ended with a high price of Rs. 4425 per quintal, a price seen at the end of last week.